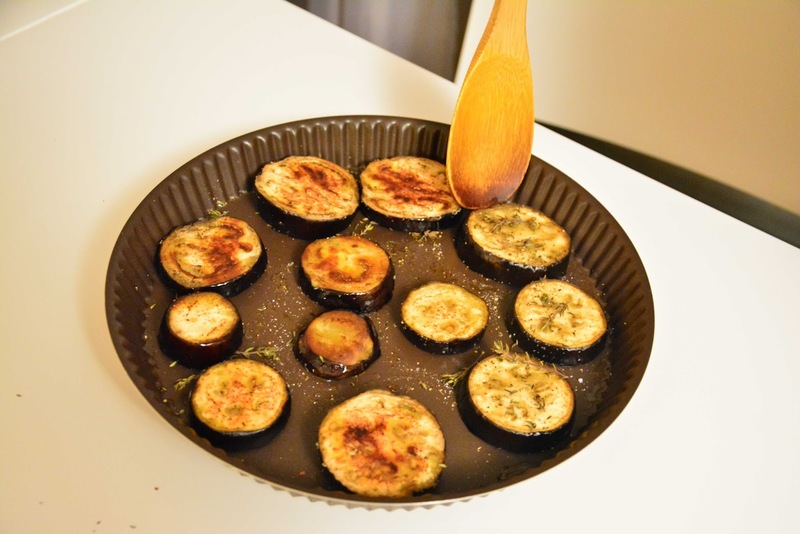 Eggplants are those unusual vegetables which can be very useful when one is trying to have a balanced meal. 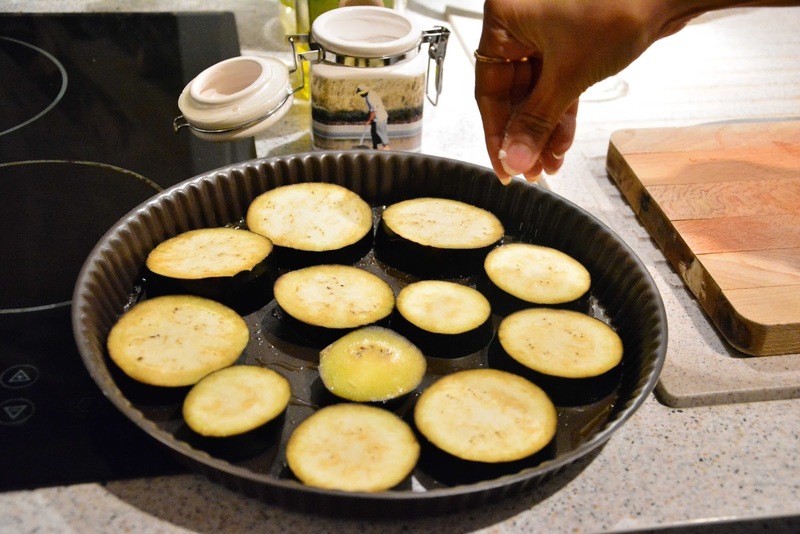 Eggplants like most vegetables are rich sources of vitamins and minerals. 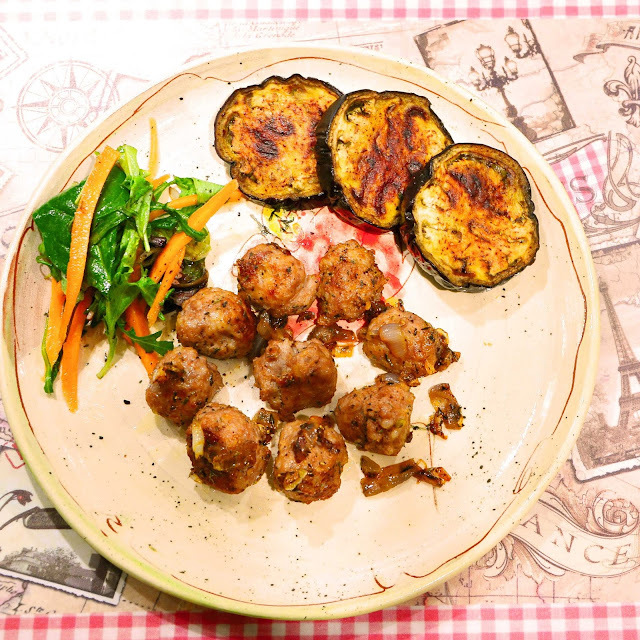 They also contain dietary fibers which are a must for a balanced diet. For more check these references [1,2]. 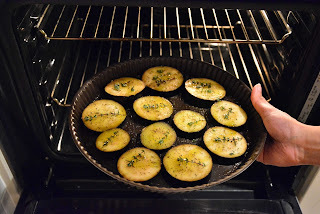 So as I tried to cheat on my cooking time with some rapid sausage sautés (check recipe), I thought it apt to quickly prepare this eggplant roast to balance the diet. 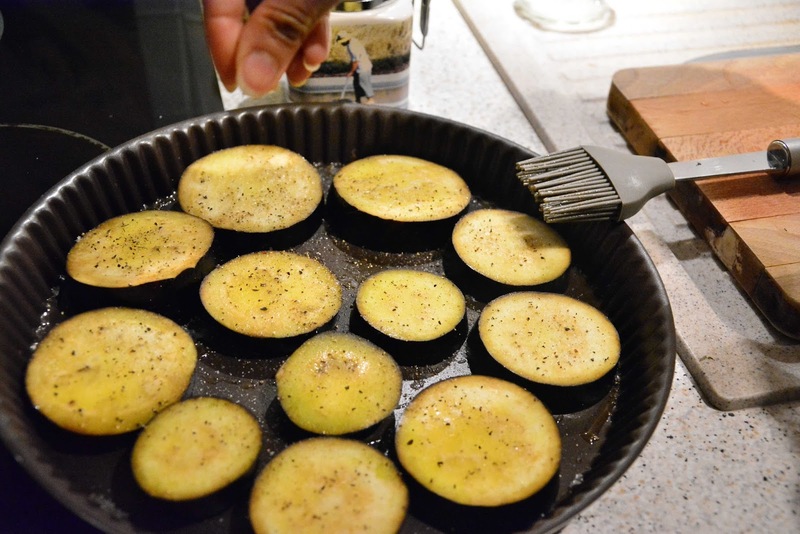 Here is the recipe for easy, simple yet flavorsome and tasty eggplant roast. 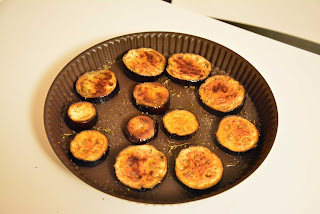 I must say, this recipe is somewhat inspired from the different types of eggplant dishes that one can find around the French Riviera and which I loved when I tried them there. 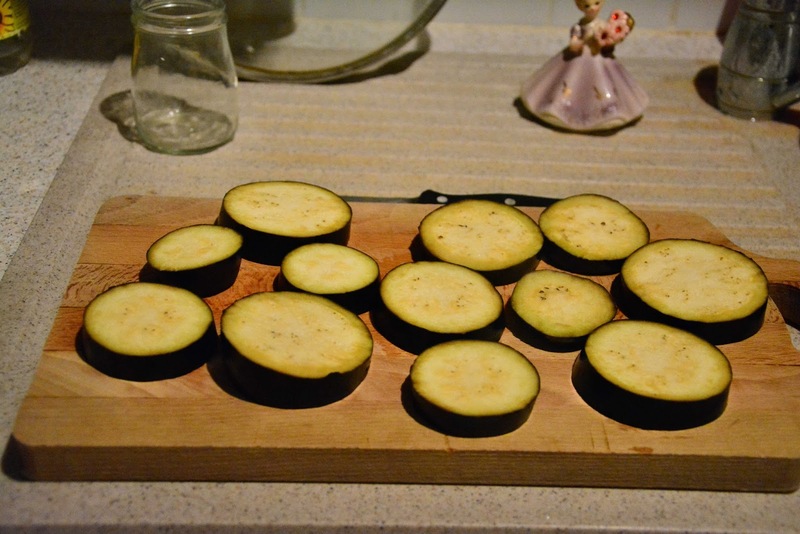 Slice the eggplant into rings of about a cm wide. Oil a non-stick baking pan, place the eggplant pieces on them and season them with salt. 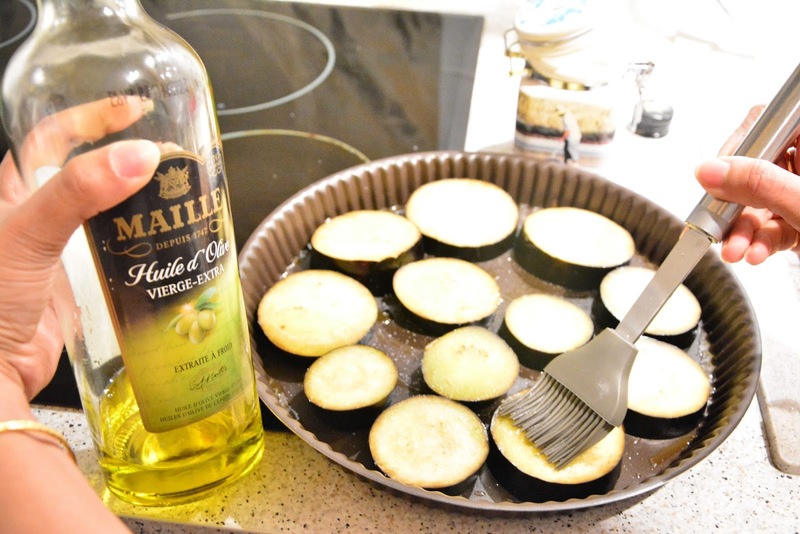 Brush each piece of the eggplant with olive oil. Sprinkle with black pepper and dried thyme. 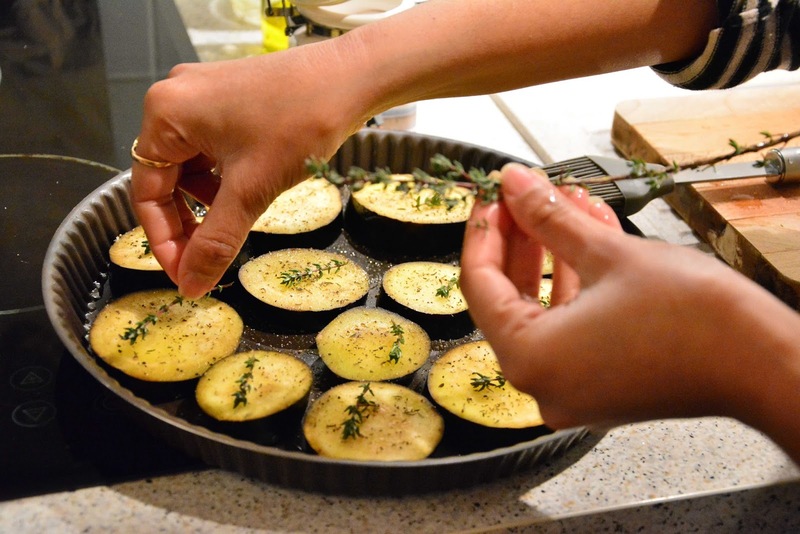 Place one little spring of fresh thyme on each piece of the eggplant. Pour around 1 tablespoon of oil on top of the eggplant pieces. 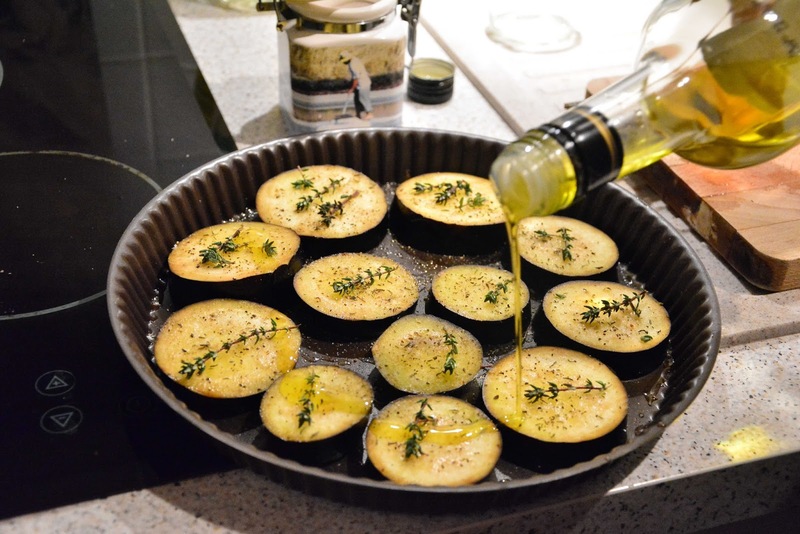 Place it in a preheated oven and roast it for 15-20 minutes at 180°C. Take it out and change the sides. 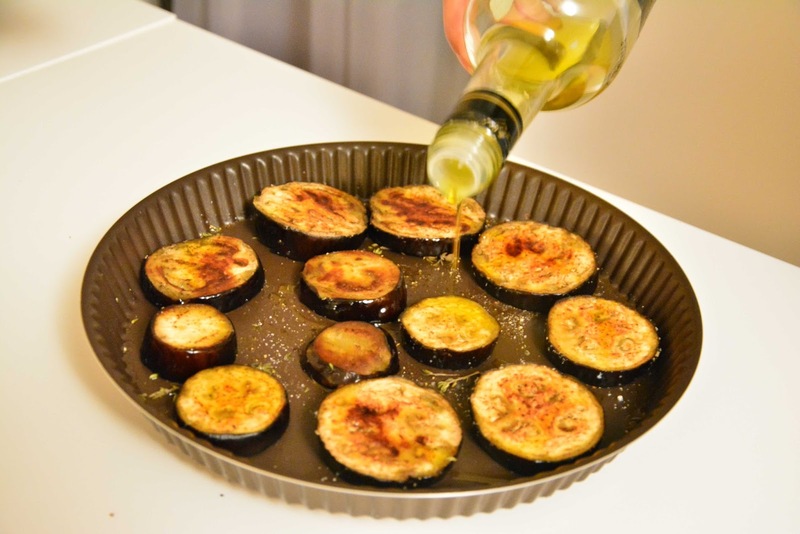 Pour 1 tablespoon of oil on top of the eggplant slices. 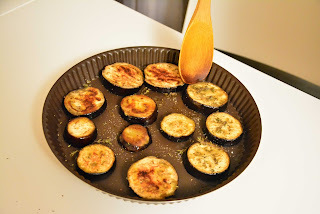 Roast it again for 5-7 minutes at 180°C. The grilled eggplant is ready to be served with meatballs (recipe here) or sausage sauté. Here is the recipe for easy, simple yet flavorsome and tasty eggplant roast. 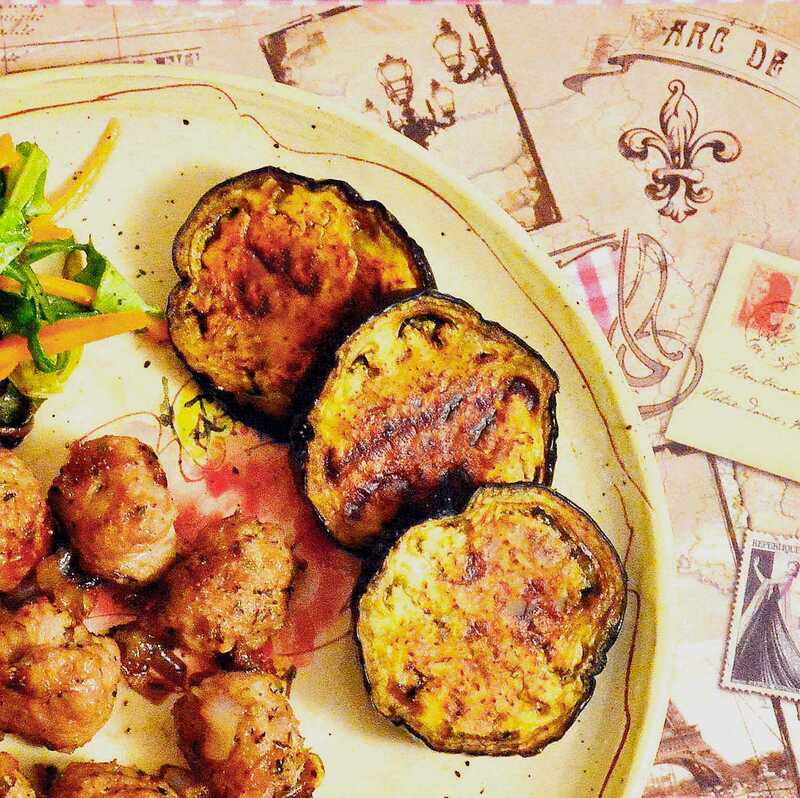 This recipe is somewhat inspired from the different types of eggplant dishes that one can find around the French Riviera. Take it out and change the sides. Pour 1 tablespoon of oil on top of the eggplant slices. 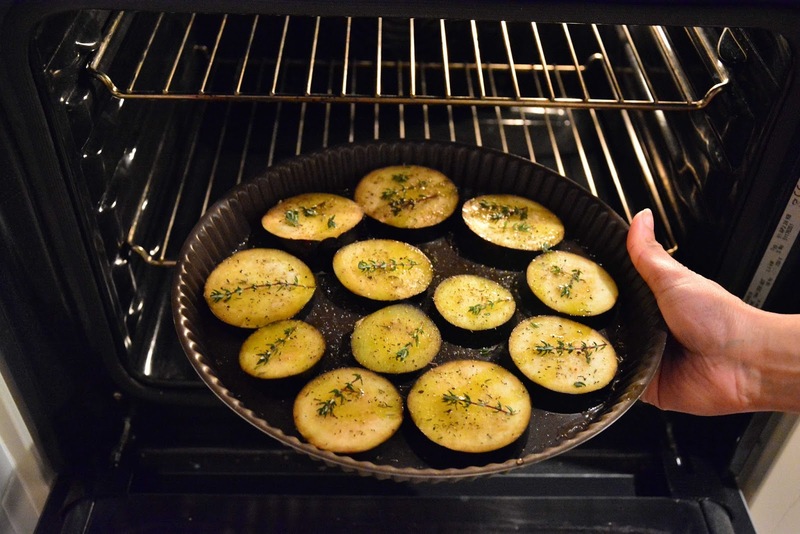 Thanks for sharing this amazing healthy and delicious eggplant recipe. It has been a great help. Keep sharing and caring.